By Ndubuisi Francis, Paul Obi and Udora Orizu in Abuja. The United States military yesterday warned that the Nigerian economy remains under great threat following the surge in criminal activities in the Niger Delta and the threats by militants to resume bombing of oil facilities in the region. The rise in lawless activities around the Gulf of Guinea was also identified as another threat to Nigeria’s economy. 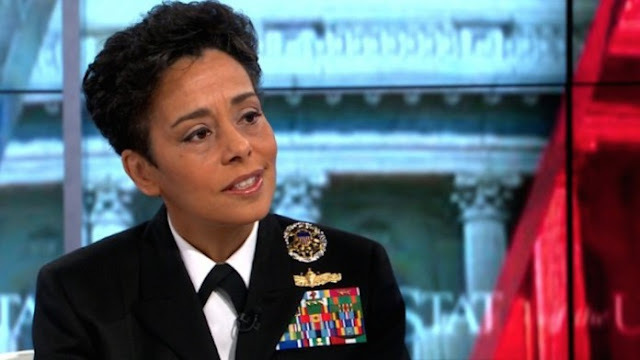 The warning from the Commander of the United States Naval Forces in charge of Europe and Africa, Admiral Michelle Howard, is coming amid a ray of hope by the National Bureau of Statistics (NBS) that Nigeria was now out of economic recession with a growth rate of 0.55 per cent. Howard, who was speaking while presenting the US Presidential Medal of Honour to Nigeria’s Deputy Military Attachee to the US, Navy Captain Kolawole Oguntuda, at the Naval Headquarters in Abuja said: “Oil extraction and production accounts for 75% of Nigeria’s revenue with the vast majority of oil infrastructure existing off shore or really close inshore. So terrorism, criminal networks, illegal bunkering with damages of oil pipeline directly threatens Nigeria economy. “We actually don’t need people from outside to tell us how strategic Nigerian Navy is in securing our environment, maritime space and the Gulf of Guinea. “For Nigerian Navy, we will continue to build our capacity and capabilities to enable us contain such threats,” Ibas stated. On securing Nigeria’s maritime territory, the CNS added: “If Nigeria is the main concern to look at in the sub-region, Nigeria therefore becomes an important country for those who have interest in this region, to come and have conversation to see how they can enhance the maritime law enforcement agencies, in this case, the Nigerian Navy in particular, to see how we can make the maritime environment secured and promote trade and prosperity in the region. In a related development, the Minister of Budget and National Planning, Udo Udoma has declared that the steps taken by the federal government to reflate the economy through the Economic Recovery and Growth Plan (ERGP) culminated in the country exiting recession in the second quarter of 2017. According to the minister, the target was to achieve a 7 per cent growth by 2020, adding that focusing on the five execution priorities of the ERGP helped in seeing the economy out of contraction. The Budget and National Planning Minister said the administration was taking some measures to ensure that the economy takes a firm footing. He said: “What we are trying to do basically is to diversify the economy. It is true I do agree that at the moment we are dependent on one commodity – crude oil. That is something that we inherited and our plan is to move out of that dependency, but to move out of that dependency, we need the resources from crude oil and that is why we have a lot of initiatives in the Niger Delta to try and get oil production back. “Yes, we are dependent but our plan is to move out of that dependency and therefore we are putting a lot of resources on agriculture and agriculture has been moving up, production has moved up. We are putting a lot of resources as well as to get manufacturing going, and in the 2017 Budget, we allocated funds for special economic zones in each of the geo-political zones of Nigeria. 0 Response to "Nigerian Economy Remains under Great Threat, US Warns"